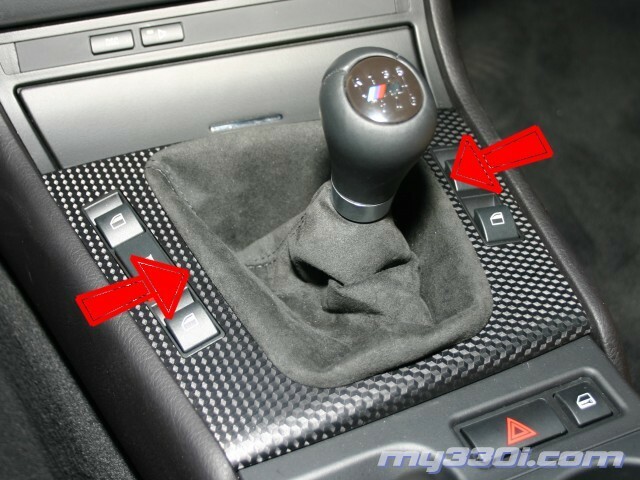 Technical Car Experts Answers everything you need: How to replace window switch on bmw? you have to press the leather from the shift boot in from both sides and pull up so it comes up. u dont have to remove it completely. then under it there will be 2 screws that u need to remove and the center console piece lifts up, again u dont have to remove the whole piece. just lift it up enough to c the window switches connected under it and u just disconnect the wires from the switch. then u pull the tabs in to remove the switch and u can easily replace it. here are some pics that i got from a diff DIY that required removing the shift boot and center console. You can actually replace it without removing the shift knob. Grab the leather boot around the knob and pull up sharply. It should pop out of place. Once that's loose, push it out of the way as best you can and you'll see two philips head screws holding the wood trim in place. Remove those two screws and the wood trim should be loose. Pull it up and you'll see that the window switch is held in by tabs. Gently pull back on the tab and the switch should come out toward the bottom. Disconnect the electrical connector by pulling sharply from the base (don't pull from the wires). Installation is opposite from removal. 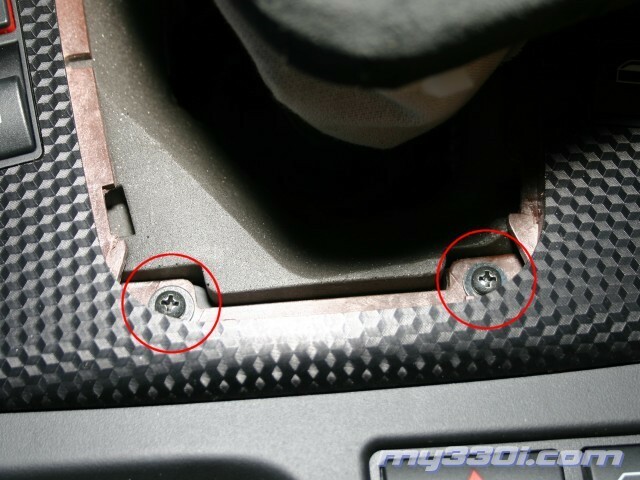 Labels: How to replace window switch on bmw?